Jesse J. 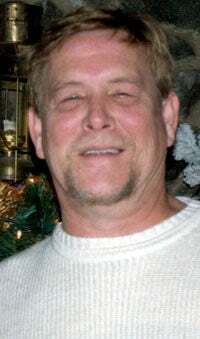 Powers, 59, of Longview passed away Feb. 22, 2016, at the Hospice Care Center. He was born Nov. 29, 1956, in Newton, Kan., to William and Betty (Lammon) Powers. Jesse graduated from Ruskin High School in Kansas City, Mo., in 1972. On May 17, 1989, Jesse married the love of his life, Kay Powell in Anchorage, Alaska. He lovingly called her “Babe.” They moved to the local area 25 years ago. Jesse was a truck driver with Woodland Truck Line. He was a member of the National Rifle Association and enjoyed fishing, barbecues, working on his home and yard, his annual Halloween party, and spending time with his family, especially his granddaughters. He was funny, warm and loving. Jesse had a smile and laugh that lit up a room. He was honest, loyal and loved his family fiercely. A memorial service is planned for 2 p.m. March 5 at the AWPPW Hall, 724 15th Ave., in Longview.